It was a little over 12 years ago that Long Beach, California, native, Craig Stanton, claimed the 2005 Rolex Sports Car Series Championship of the Americas in the GT class behind the wheel of his Porsche GT3 Cup. Stanton entered the finale at the Autodromo Hermanos Rodriguez in Mexico City one point down, but raced past the finish line in third-place to secure the championship with a one-point lead. This Daytona is not your typical chronograph. Rolex has been a major player in the motorsports world for decades—let’s not forget that their signature chronograph watch was actually named after the Daytona Speedway in Florida. So, in addition to winning the trophy for himself and his team, Synergy Racing, Stanton got to take home a trophy for his wrist too—a custom engraved Rolex Daytona Ref. 116523 chronograph! Join us as we go hands-on with Stanton’s winning Rolex Daytona watch. This Daytona reference 116523 was handed to Craig Stanton for his victory. 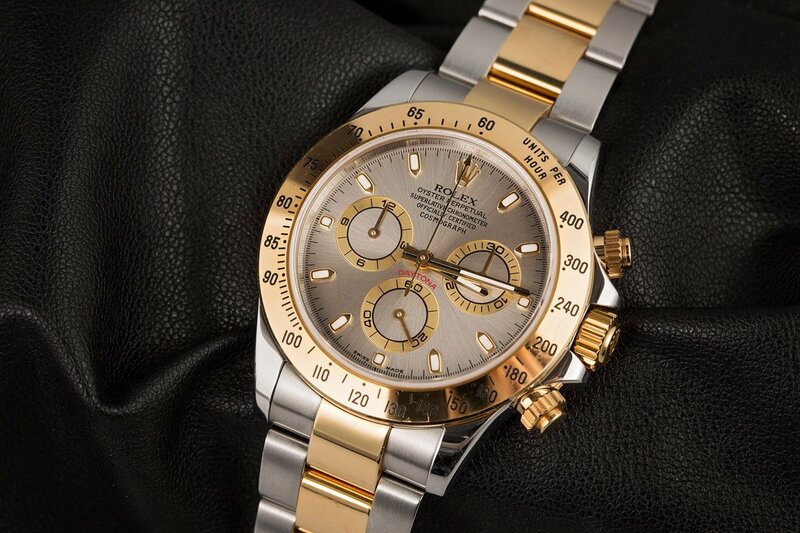 As a Rolesor two-tone version, the Rolex Daytona ref. 116523 features a 40mm stainless steel Oyster case topped with an 18k yellow gold engraved bezel. There are also the matching gold screw-down chrono pushers and the gold screw-down winding crown. Furthermore, the sporty Oyster bracelet includes solid 18k yellow gold center links flanked by stainless steel outer links. The Two-Tone Daytona is a watch made for the tracks. Stanton’s particular Rolex Daytona houses a beautiful slate gray dial along with yellow gold hands, indexes, and subdials. Above the running seconds counter at 6 o’clock, we see the famous red DAYTONA label arched above the perimeter. 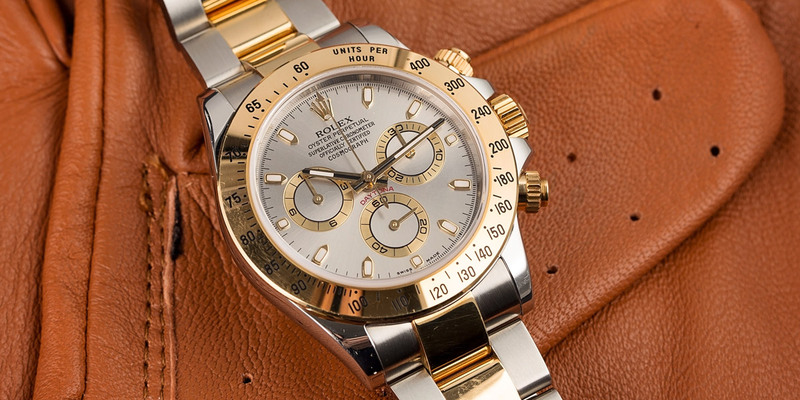 Flipping the watch around, we get a look at what makes the already special Rolex Daytona ref. 116523 even more special—the custom engraving. 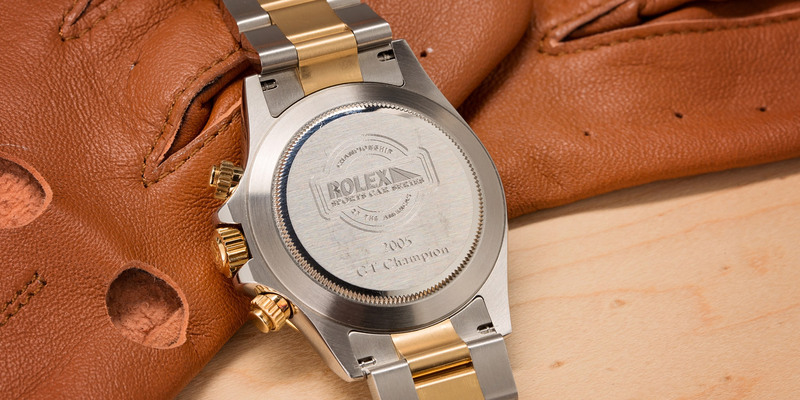 Etched into the screw-down fluted steel caseback is the “Rolex Sports Car Series. Championship of the Americas” event logo followed by Stanton’s accomplishment: “2005 GT Champion.” Simply awesome. Here is the caseback of the Daytona 116523. 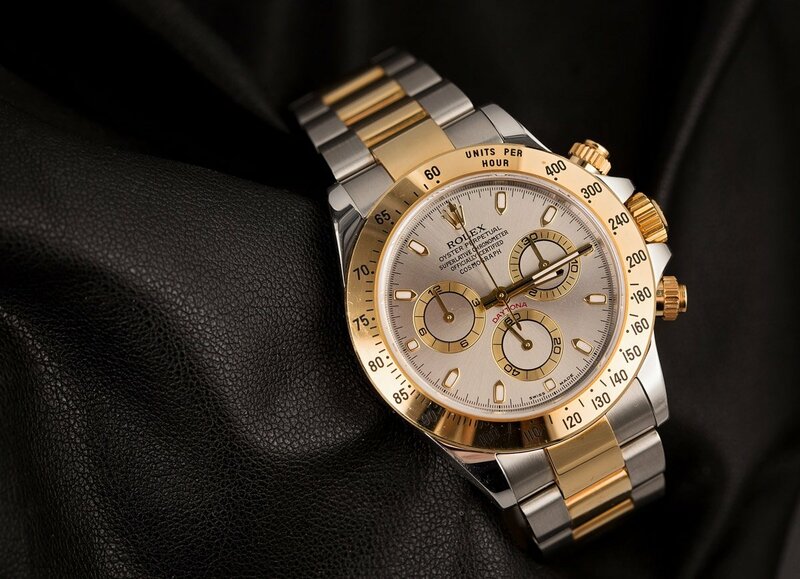 Prior to 2000, Rolex Daytona watches ran on modified Zenith El Primero automatic chronograph movements. And before that, Daytona watches were hand-wound chronographs powered by Valjoux-based movements. 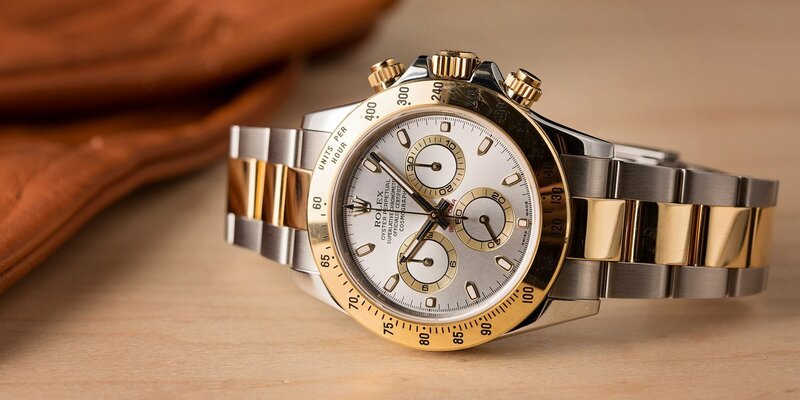 So when Rolex unveiled their next-generation Daytona models equipped with an in-house Caliber 4130 movement at the turn of this century, it was a very big deal indeed. In fact, today the Caliber 4130 is one of the most (if not the most) respected modern-day automatic chronograph movements, prized for its durability, precision, reliability, and serviceability. What are your thoughts on this Daytona? It’s not every day we come across a one-of-a-kind custom engraved Rolex watch awarded to a champion racecar driver and we’re happy to have had some time with Stanton’s winning Rolex Daytona watch.